Put all the ingredients in a food processor and blend until very smooth. 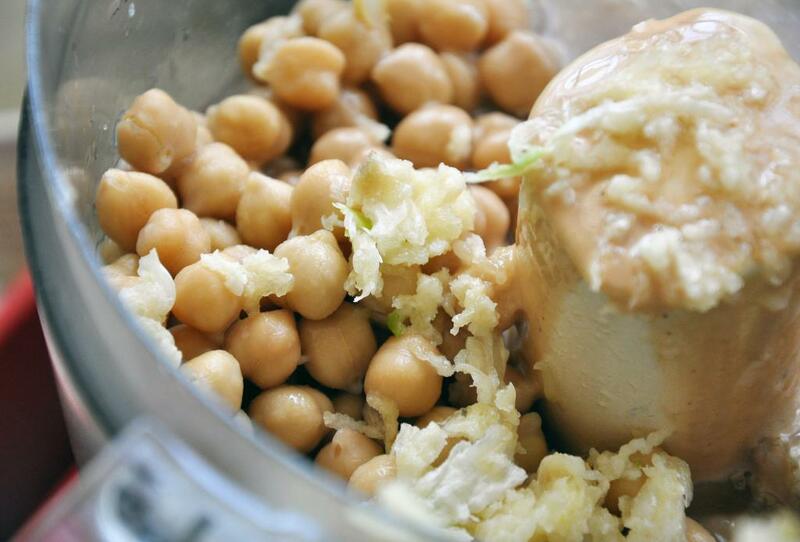 Add more chickpea liquid or lemon juice to thin out, to taste. Spoon into a bowl and drizzle EVOO over top. 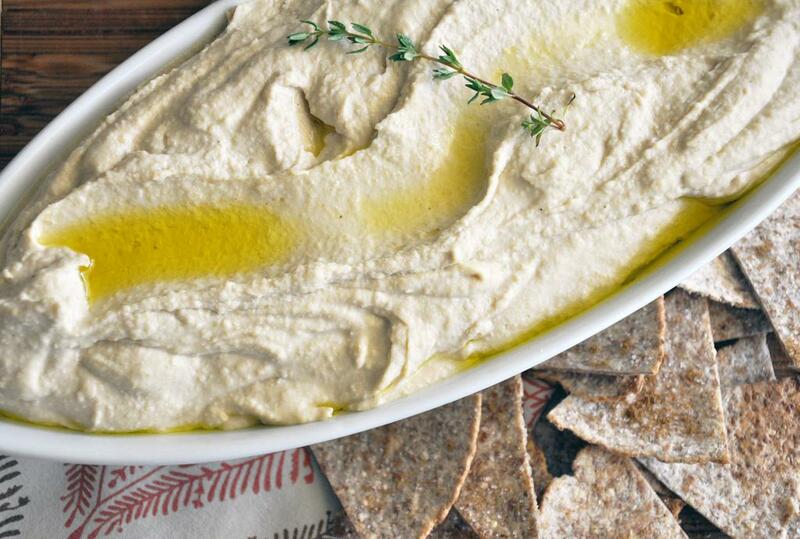 Serve with homemade pita chips.